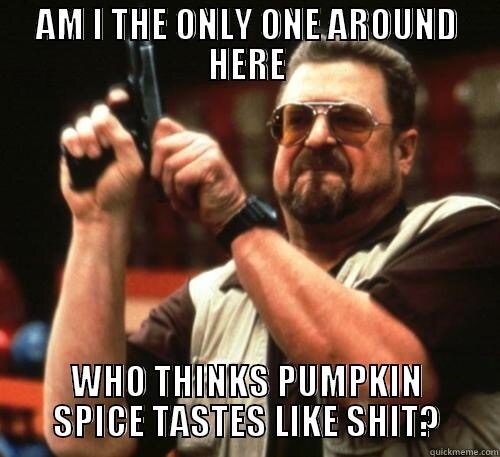 I’m obsessed with people’s obsession with all things pumpkin and pumpkin spiced. It seems like as soon as fall or the threat of fall comes around all the pumpkin spiced fiends come out. Go on ahead and add the image of pumpkin spiced so and so’s to the ever so picturesque red, orange and yellow leaves on the ground, the need for a chunky sweaters, warm soups and brisk air when thinking of fall. The pumpkin has totally gone from the Halloween mascot to a way of life. I kind of want to blame Starbucks for starting this frenzy with their pumpkin spiced latte and then Dunkin Donuts pumpkin spiced doughnut holes, pumpkin ale, pumpkin spiced cronuts, pumpkin spiced lip balm, pumpkin spiced body lotion, Red Robin even has pumpkin spiced milk shakes. I drew the damned line last week when my skirt was likened to pumpkin spice. I don’t get it but you better believe that I’m gonna get to the bottom of why everyone loses their gotdamn mind when September rolls around. And while we’re on the subject I wonder have any of these people even tasted a real live pumpkin because if so they wouldn’t be going cuckoo for pumpkin spiced coco puffs, it’s fugging disgusting. 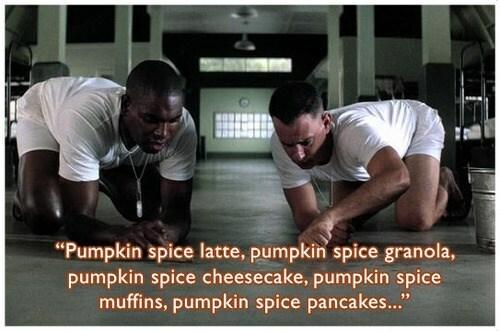 And what in sam hill is pumpkin spice anyway. Is that some kind of seasoning they sprinkle on pumpkins to make it not taste like a$$ and if so you mean to tell me that the whole world is obsessed with a seasoning?!!! Really?! 2. Snap the hell out of it!!!!!!!! Let’s get it together people. We can’t continue to live Fall this way! 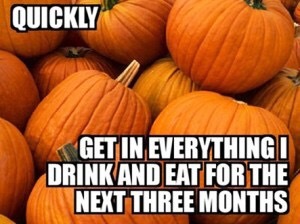 No Pumpkin Spiced Worries….I’ve Got This!